God has created us to be individually distinct yet also to be a part of the body of Christ and for many men it can be difficult to find the balance between these two realities. 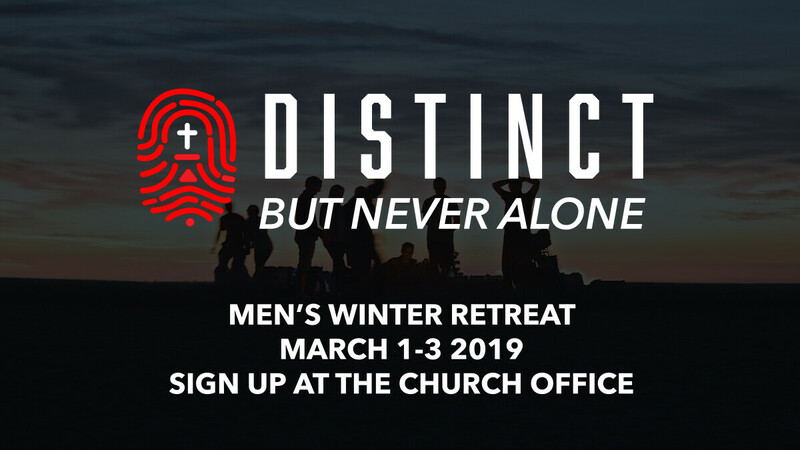 Come and join us at the 2019 Men's retreat as we take some time to recharge with great food, activities and some relaxation as Pastor Dave Gray from Trentside Baptist Church helps us explore what it means to be distinct, but never alone. To sign up, call the church office at 905 433 2960 or click here.